In this week’s Farmer Choice bags, we suggested arugula and spinach from Letterbox Farm and Ironwood Farm, Adirondack Blue potatoes, yellow onions, and red beets from Juniper Hill Farm, shiitake mushrooms from Rock City Farm, and eggs from Dog Wood Farm. There were 50+ items listed this week, so members had plenty of choice to brighten up their pantry. 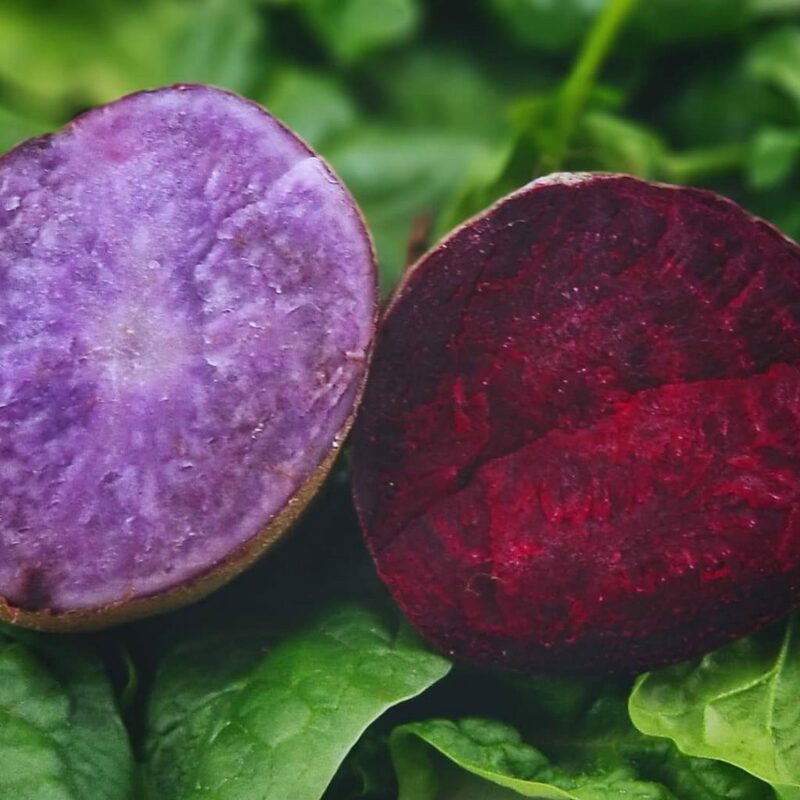 We love the beautiful colors in our beets and blue potatoes. A gorgeous combination. Nourish yourself and your family, support Hudson Valley small farms, and use your dollars to benefit the environment. Shall we call or email you?